Our buses provide comfortable and affordable transportation for groups of all sizes in the greater Twin Cities Metro. 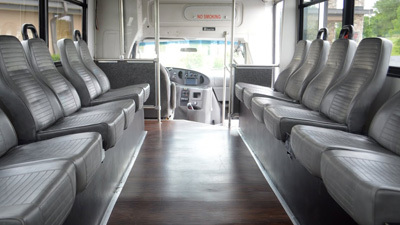 Both shuttle/party buses have hardwood floors, optical lighting, and blue tooth capability. Nite Trane Transportation will provide complimentary ice and cooler. 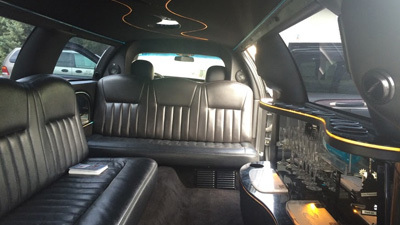 We offer 6 to 10-passenger stretched limousines. Our limousines are equipped with TVs, DVDs, stereos with CD Players, divider window or privacy panel, leather perimeter seating, fiber-optical lighting and tinted glass for discrete transportation. The vehicles are non-smoking and come stocked with glasses, napkins and ice for your convenience. 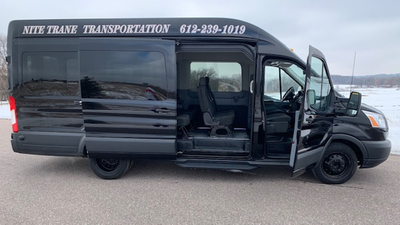 Nite Trane Transportation has been providing chauffeured shuttle service to and from the airport for many years and is uniquely qualified to offer you and your business clients red carpet service. We understand that airport transportation usually involves a scheduled meeting, and being late is simply not an option. Without question, your wedding, your daughter’s wedding, or your son’s wedding may be the most joyous and memorable event of a lifetime. It can also be the most stressful event if you do not access professionals who are trained and experienced to help you plan this most precious occasion. Sports fans and music lovers take their events seriously. They prefer to arrive in fashion and leave in style. This is where Nite Trane Transportation excels. We will provide a luxury limousine, SUV, or bus to pick you and your guests up on time and get you to that special event on time. We had a great experience on a ladies wine tour and recommend Nite Trane. Door to door service and our driver was friendly, accommodating and let us have a great time. Fabulous experience with Nite Tran. Customer service was top notch, driver was so much fun. Highly recommend. We used Nite Trane to transport our wedding guests from our hotel to the venue, then back at the end of the night. Nite Trane was incredibly responsive getting back to me with quotes and other requested information. The prices are very reasonable and inclusive. The booking and reservation process was a breeze. The drivers showed up on time and all of our guests all made it safe. Drivers were also very courteous and helped people in and out of the van. 10/10 would book again. The crew at Nite Trane have provided their services twice for me now. My Wedding and a large group airport shuttle and they have knocked it out of the park both times! Always on time, professional, and affordable! Can’t wait for the next outing with them! We went with Nite Trane Transportation for a bachelor party, using one of their party buses. I was very pleased with the flexibility and professionalism working with Angela and the driver. Not everything goes according to plan during a bachelor party lol and Nite Trane was very accommodating. We ended up staying later than expected and the drive made sure everyone got home safe. I would recommend Nite Trane to anyone looking for transportation needs, especially a party bus for a bachelor or bachelorette party!